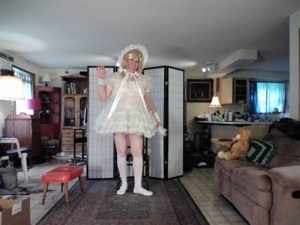 Great sissy dress and ruffles, Merry Christmas! I Love Your Ruffles! Looks like Teddy is napping. Have a wonderful Sissy Season of Happiness & Joy! Merry Christmas and a Happy, Happy New Year in your favorite Dress! Pretty dress and very short to show what is underneath. Merry Christmas Cairo!